Why the laser marking machine will replace the ink jet printer? The Chinese cnc laser marking machine is slowly replacing the ink jet printer. What is the reason? 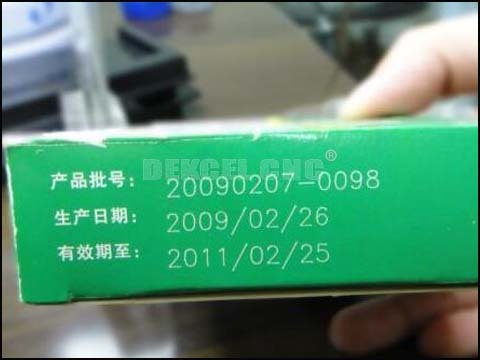 First of all, the information marked by laser marking machine will never be obliterated. It is a permanent mark, and it is not easy to be deformed and washed away. But the icons printed by ink jet printer are easily worn out, so it is necessary to say that it is replaced by cnc laser marking machine. One more important reason is that the best quality laser marking machine can print more elaborate icons. For example, a small bottle cap or a small ring, it's easy to use a laser marking machine. Because the high precision laser marking machine is manipulated by the computer, the technology is more fine. So if you are interested in our Chinese economical laser marking machine, or have any question about the cnc laser marking machine. Please contact Jinan Dekcel Cnc Equipment Company. We are support service 24 hours online.